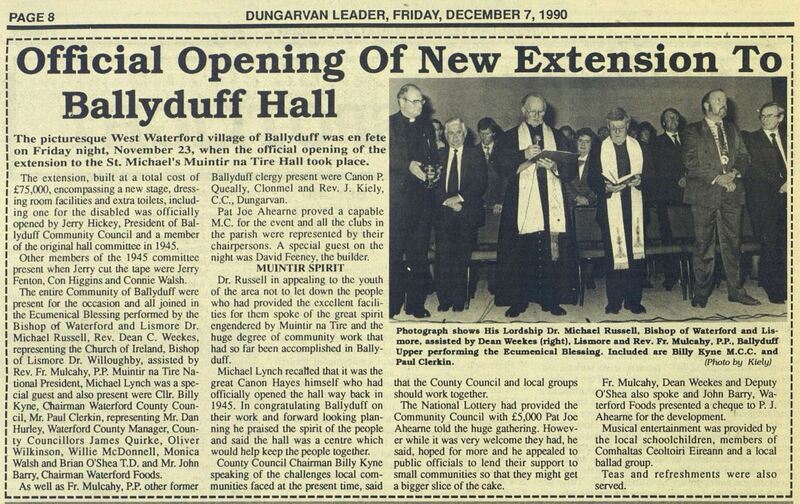 In their 2012 Annual Report, the Muintir Na Tire board acknowledged the role played by Michael as president of the organisation during the 1980s. When he was not president, he was an active board member, giving advice and support to the community organisation over 3 decades. I know he would have appreciated the acknowledgment.